All the people of Gnomeland have been preparing for a double celebration – Christmas alongside the triumphant coronation of the princess and preparations are underway day and night. However, the Gnomes didn’t know that a troll lived nearby and that the constant sawing and hammering disturbed his rest. Angered by all the noise, the troll and his henchmen have stolen the Gnomes' Christmas tree and the princess has vowed to return it. Join a wonderful cast of characters on an adventure through incredible locations to save the holiday. 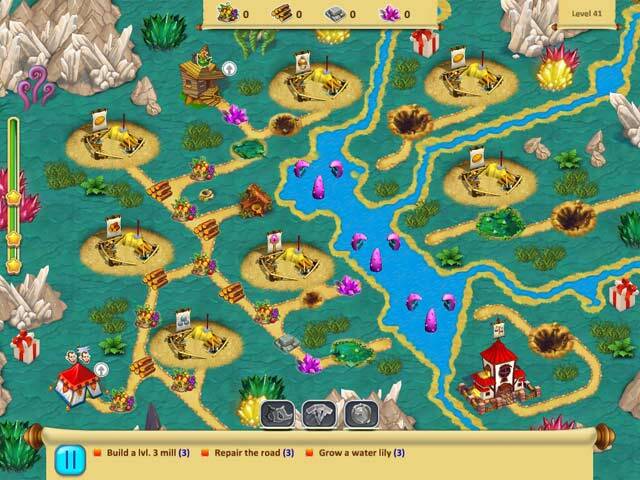 Complete a variety of quests and over 40 levels in this fun and festive strategy game. Gnomes Garden Christmas Story is rated 3.9 out of 5 by 9. Rated 5 out of 5 by Madmanager from An excellent game! I love TM, and the Gnomes Garden series is one of my favorites. And if you want to add positive emotions to your Christmas mood, then there's no way better than playing this Christmas special. Rated 5 out of 5 by Harmony_M from The holiday comes to us! I love the set of these games. I am very glad that the Christmas series has appeared. A great gift for me on this holiday! Rated 4 out of 5 by Bumbles2 from Great learning game for kids and adults alike !!! I have always loved the Gnomes garden series but... I was hoping to see some things that illustrated it was Christmas !!! 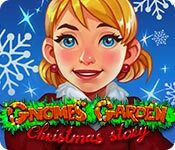 There was a wee bit of snow here and there and a few tasks to bring back some ornaments...the rest of the game is very similar to the other Gnomes garden...don't get me wrong...I still love this series and so do my Grand-kids !!! We had some quality time together and that is special to me !!! There still is a lot of fun to be had with this game...we had many laughs while playing. The artistry and music were great as usual. The story was cute too. This is not a difficult game to learn and as I said earlier ... its a great game for kids and people just starting out with Big Fish. Basically there is no challenge with this game...so just sit back, relax and enjoy...you can't go wrong with this game !!! Rated 4 out of 5 by karenmusik from Like this but... Very cute game. I really enjoy these games except that the trading posts don't tell you what you are trading for. You have to figure it out, which takes time and resources. I also don't really see anything new here, just the ability to grow Christmas ornaments. If you like these games, get it. I might use a free game code for it. Rated 4 out of 5 by Spookys_Mom from Love this Series I love the Gnomes Garden Games so was happy to see the Christmas Tale. I only gave it Fours Stars because for as far as I got in the Demo I really did not see much of anything new. The only new twist is when you are growing the trees sometimes it is a Christmas decoration that you grow instead of a tree. If you love the series then go for it but if you are looking for something different this is not it. I really like the series so I will get it especially with the buy one get one this weekend! Rated 3 out of 5 by joannes0 from Not much Christmas here Like with the Halloween one, this one doesn't have much by way of a Christmas theme except for that with this one, you grow Christmas balls. I have to agree that it makes the whole game feel thrown together. It's the same thing, over and over and over, with very little Christmas at all. I mean, what's the big deal...instead of having one of the tasks be to heal a tree...why not make that tree a Christmas tree instead of the regular ones? Why not put a little red and green into the houses and on the little people? While the game works and it's a decent time waster, I can't say I like it. Because again, it's just the same thing over and over, with absolutely nothing new. Rated 3 out of 5 by pennmom36 from IF YOU'RE GOING TO RELEASE A HOLIDAY THEMED GAME, AT LEAST STICK TO THE THEME I've always loved Gnomes Garden games, but I don't like it when devs slap together a game at the last minute, add the Holiday name, and pretend like it's all about that holiday. Just like the Halloween themed Gnomes Garden, that wasn't about Halloween, and this game isn't about Christmas. Sure the first screen shows a Christmas Tree and adds a jingle bells tune, with a short and vague story about the Princess ordering a Christmas Tree to be erected in time for her coronation. But that's the extent of it. Sure the trees are covered with snow and some of the levels have a very faint jingle of bells within the background music, but when the title says it's a Christmas Story, I expect each and every level to be about Christmas. 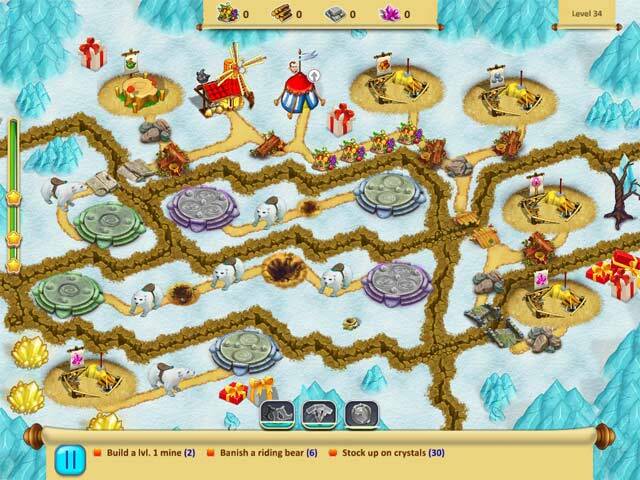 Instead it's just the same Gnomes Garden game with the same tasks, in a snow covered land. In the first edition of Gnomes Garden, the Gnome Princess was tasked with restoring the Royal Garden and curing the King's illness. In Gnomes Garden 2, the evil Troll Queen kidnapped the Princess, fortunately she was rescued and eventually became friends with the Troll Queen. In the third episode, a Warlock took over the Monarch's Castle and he too was eventually defeated. In the fourth episode (not including Halloween edition) the castle has been restored to its former glory, but the lands surrounding the kingdom were desolate, and no crops would take root. The Princess embarked on another journey, to land of the elves, to obtaining the Green Recipe from the Elven Queen (in exchange for crystals mined by the Gnomes of course) This is one of my favorite Time Management series, which tends to be a tad bit easier than most. 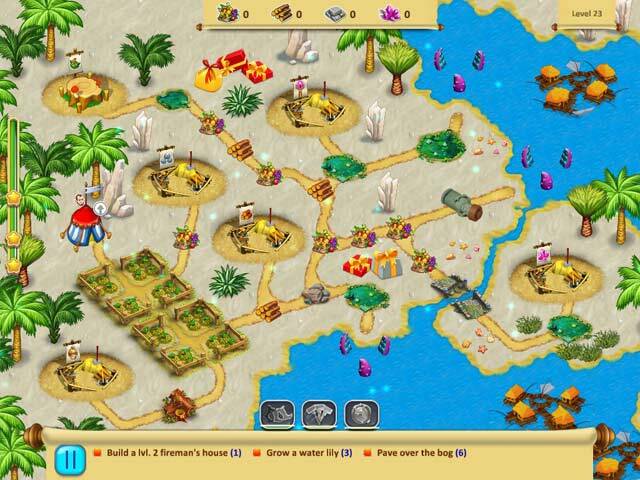 There are the normal tasks such as, gathering resources, clearing paths and building Farms, Sawmills, Quarries and Crystal Mines. Other tasks include repairing bridges, paving over bogs or repairing hives. I didn't see an option to play this game in a relaxed mode, but Gnomes Garden doesn't require a whole lot of strategy to earn 3 stars like some TM games. It's a pretty straight forward game. This is a great entry level Time Management game, if you don't mind the fact that it's not really Christmas themed. An exciting Christmas adventure across fantastic time management levels! Help the princess save the holiday!